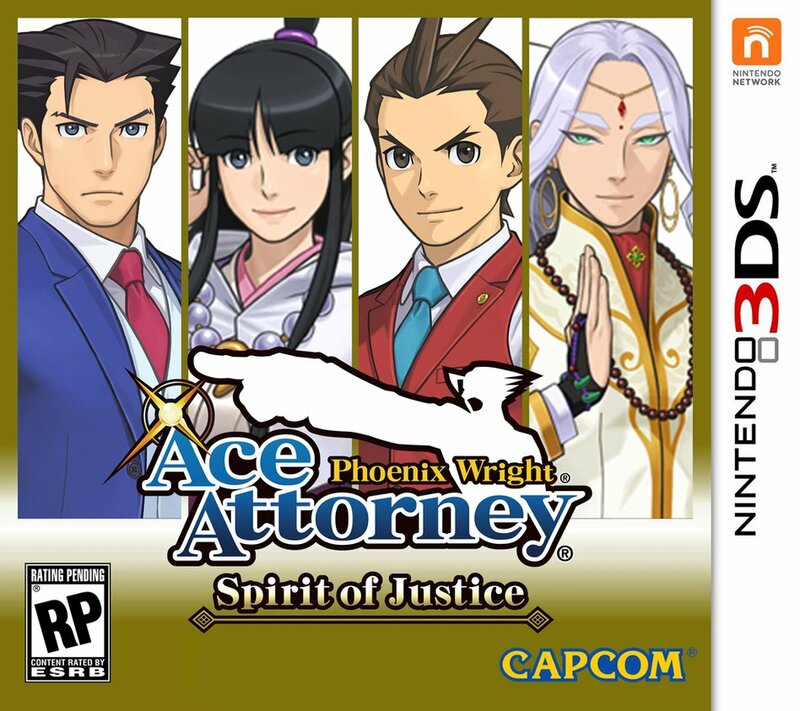 Phoenix Wright: Ace Attorney – Spirit of Justice is a puzzle game/visual novel for the Nintendo 3DS. It is the sixth main game in the Ace Attorney series. It was developed and published by Capcom. 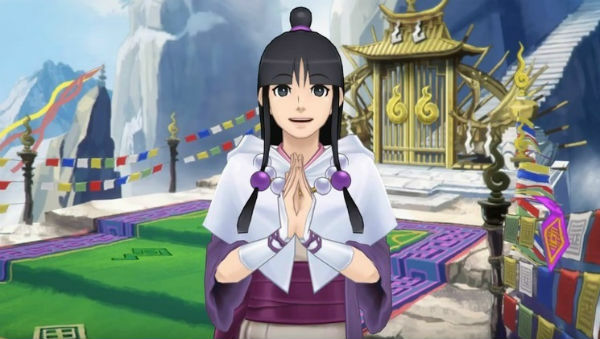 Phoenix Wright has traveled to the country of Khura’in to visit his old friend Maya Fey. While there he gets roped into acting as the defense on a couple of court cases. 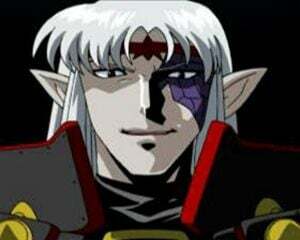 But Khura’in’s legal system is different from ours, it is tied heavily into the country’s official religion, which believes that lawyers are demons and guilty verdicts are divine. Worst of all is the Defense Culpability Act, a law that states anyone who helps criminals will be considered just as guilty as the criminal, including their lawyer. Phoenix has to deal with all this, while in background a group of underground revolutionaries seek to overthrow the corrupt Khura’in government. 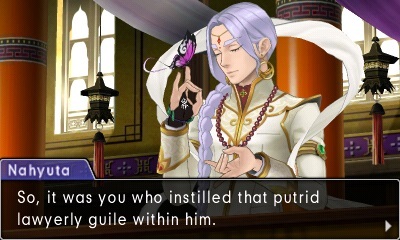 As with previous Ace Attorney games, Spirit of Justice can be divided into two sections with tons of dialogue. In the first section, the attorney walks around, talks to people and collects evidence to help prove their client’s innocence. 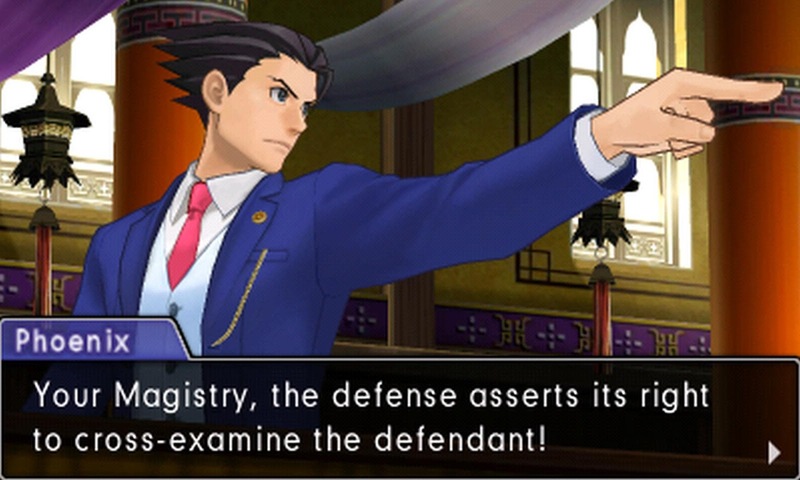 In the second, more entertaining section, the player listens to testimony provided by witnesses, and either “presses” a part of the testimony to provide clarification or even new testimony, or “present” a piece of evidence that contradicts a part of the testimony, leading to new testimony. 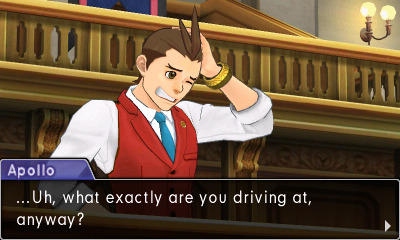 There are six plus games in the Ace Attorney series, and they have always the same problems. The main problem has always been trying to figure out the developer’s internal logic for solving puzzles. You may have a piece of evidence that from your standpoint contradicts a section of the testimony, but only the one piece of evidence that the developers want you to use will work, even if the reason makes less sense, leading to going through every piece of evidence to see what obtuse logic fits. Even worse is when you figure out a bigger, more important part of the villain’s plot and have evidence that would expose it, but you cannot use it until you reach that part of the case. That has always been a problem with the gameplay, but this problem is supplanted by a much bigger problem with the story. The story, or at least every case except the first one, is bloated. I would not be surprised if the part of the game where you actually do something instead of click through text amounted to less than ten percent of the game overall. The pure storytelling parts that cause the bloating do not make up for it, since the story relies on cheap courtroom drama gimmicks like everyone wasting time until the real decisive evidence magically falls into the defense’s lap. The reason all this story padding is bad from a gameplay perspective is that it makes the cross-examinations too easy. The cross-examination sections are spread so far apart you can tell which piece of evidence to present because everything else you have collected is not related to the current conversation. Several times I did not know why the piece of evidence was the right one, but I knew it was because everything else was completely irrelevant. It is a shame that the gameplay is so messed up, because the basic concept is still really fun. Finding a contradiction on your own, without any hand holding, in a tiny but perceptible piece of evidence is thrilling. The plot itself is in okay, though does not fully explores its own concepts. Khura’in is interesting in the way its culture and religion impede and frustrate all of Phoenix’s attempt to prove his client’s innocence. But the consequences of Phoenix single-handedly dismantling an entire country’s belief system are barely touched upon. In the first case the head priest, the judge, and the extremely pious prosecutor say their court system has never been wrong and go on at length about how lawyers are evil demons. Phoenix promptly proves them wrong about everything. Somehow he never gets bothered by anyone in the crowd chanting for his death afterward. Later on Phoenix and his friends commit what could be considered international incidents without any problems. The revolutionaries that are trying to overthrow the corrupt government are a joke without a morally grey streak among them. The cast save the story. They are all likable, funny, fully fleshed out characters with their own unique personalities and interests, though they had several games to build up those personalities. They interact well with each other too, and seem like a real family and close knit groups of friends. Honestly I could watch them go shopping and it would be entertaining, at this point. This only applies to old recurring characters though, all the new important characters are obnoxious and I hope I never see any of them again. Phoenix Wright: Ace Attorney – Spirit of Justice is not a good entry in the Ace Attorney series. The fun gameplay is underutilized, the story is long and meandering, and the new additions are forgettable. Its only saving grace is that Capcom has not performed character assassination on the main cast, yet, so it is only good for diehard fans of the series; it is not a good jumping on point.